Set of 5 Mother of Pearl Shirt Dress Studs. 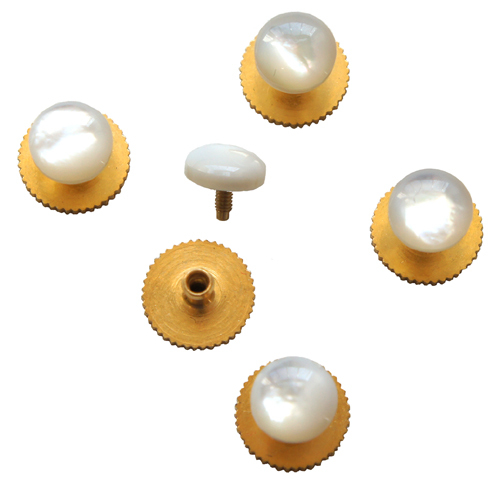 Finished to a high standard, these domed white, brass screw back studs are suitable to wear in our Marcella Shirts for white tie events. N.B. These studs are supplied in a small cellophane bag, not a gift box.